construction of new buildings. They also feature specialized designs engineered for broad spectrum of industrial, economic, and operational applications. 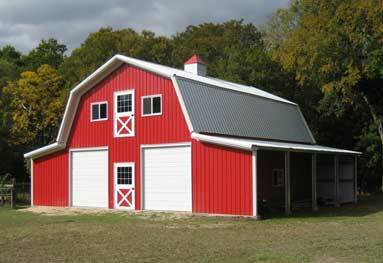 These buildings can be loosely organized into 3 major category types. Each category type, in turn, features a wide range of building models that are designed for specialized environments and uses. 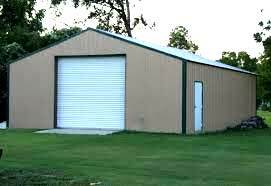 All prefabricated sheds are built with stability, comfort, and maximum utility in mind. Custom features can be added to any model that will provide in-house personnel with both equipment and amenities that are equivalent to those found in any standard building. 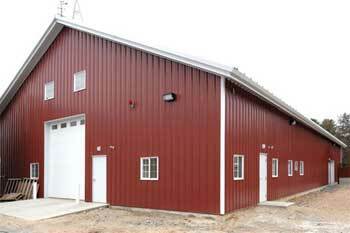 These prefabricated metal sheds allow a variety of organizations to meet additional staffing requirements within the confines of existing acreage. 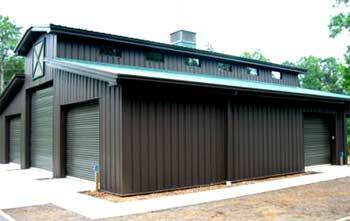 Prefabricated shelters can be used to shelter both personnel and equipment. Examples of personnel shelters include smoking shelters and transit shelters. 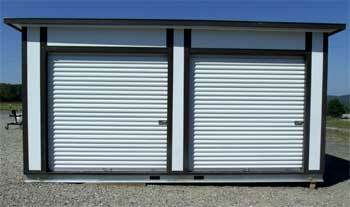 Equipment can also be housed in a variety of shelters that can be used for storing sports products, general supplies, and even machinery. 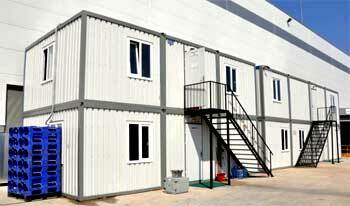 The booth is the most common of the three modular building categories. Booths play a major role in security. Specialized booths that feature bullet resistant walls and windows are used as guard towers in prison facilities. 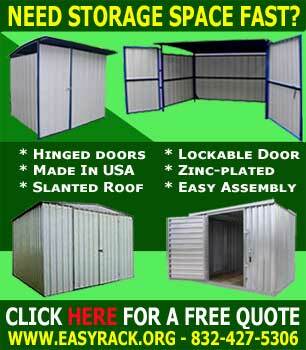 They can also be used as guard shacks in maximum security military areas. Portable booths are popular in a variety of construction field applications, and cashier booths are ideal for toll roads, parks, and amusement areas. 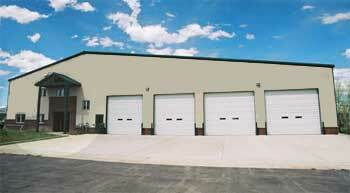 Pre-manufactured buildings can also be wired with surge protectors, electrical outlets, and GFI plugs. Prefabricated sheds are constructed from a variety of rugged glass and glass substitute materials that make them solid, safe structures for every application. Insulation installed in walls and floors maximizes comfort in extreme climates. Easy Rack carries a wide variety of commercial shelving, material handling equipment, commercial lighting, used pallet racks, and modular prefab buildings installed nationwide. If you can not find what you are looking for call us toll free at 1-888-776-3720 and we will find it for you. Our home office is located in Houston, Texas with warehouses located throughout the United States that enable us to service all 50 states. The girls in the office are certainly enjoying the rolling s ..